Spring is almost here! For many, this means travelling with family or friends to a warm destination for a weeks’ worth of fun in the sun. Interestingly enough, Americans owe this annual rite of spring break to ancient Greece. Originally called “Anthestreria,” it was a festival dedicated to Dionysus, the god of wine and “ritual madness.” For three days, local Greeks would come together to dance, sing and drink wine. More than two thousand years later, the ritual of Anthestreria remains, in many respects, unchanged. Recognized, almost universally, by primary through post-secondary educational institutions, spring break provides families and friends time to relax and recharge (and sometimes even get a little crazy). enterprising entrepreneurs. This is exemplified by the wild success of Airbnb. 2018 marks Airbnb’s 10th year of operation. And what a 10 years it has been for the San Francisco-based tech start-up! Founded by Brian Chesky, Joe Gebbia, and Nathan Blecharczyk in 2008, Airbnb (in case you have been living on Mars) operates an international online marketplace for short-term lodging, offering a much-desired alternative to traditional hotel accommodations for guests and a source of income for hosts. Airbnb is merely a broker. It provides a platform for home owners, “hosts,” to rent out their properties to short-term guests. The company generates revenue by charging both its guests and hosts service fees. Like many entrepreneurs, Chesky and Gebbia started out by identifying a common problem and building a business around the solution. In 2007, they were broke college graduates living in San Francisco. The pair stared at their rent bill and realized they could not afford to stay another month. As a short-term solution to this issue, they bought three air mattresses and rented out their living room under the mark “Airbed and Breakfast.” After successfully renting out their living room air mattresses (they also offered breakfast as part of the guests’ stay), the roommates realized they were on to something bigger than just a source of rent. Four years later, Airbnb reached 10 million guest nights booked on its website. The path to success was not without its challenges. The company faced various issues with its hosts, guests, potential investors and regulators; however, seemingly every problem was met with a solution. For example, in early 2008, in an effort to establish host loyalty, the founders visited all of their hosts in New York, personally stayed with them, wrote reviews, and professionally photographed their places. In March 2009, to avoid brand association with air mattresses, such association had deterred early investors, the company rebranded to “Airbnb.” A month later, Airbnb received $600,000 from Sequoia Capital, marking its first major seed investment. The company continues to raise money (it raised a whopping $1 billion in 2017) and invest in its technology and user safety mechanisms, which includes offering insurance coverage to hosts and creating user profiles and rating systems, to build trust between hosts and guests. In the last decade, the company has raised more than $3 billion and is now valued at approximately $31 billion, making it the second-most valuable start-up in the United States behind Uber. Airbnb reportedly has roughly 4 million lodging listings in 191 countries and such listings have generated more than 260 million guest arrivals around the globe. 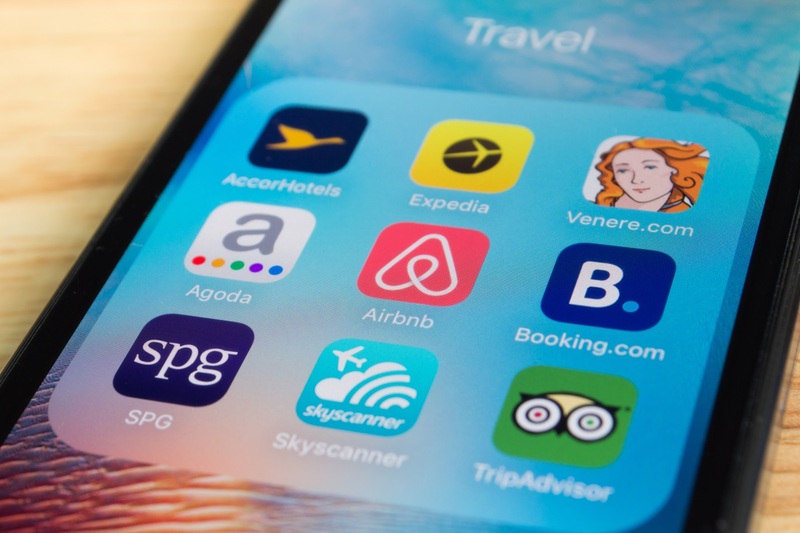 While Airbnb is certainly a Silicon Valley “unicorn,” it serves as a prime example of the disruptive potential of combining technology with a solution to a common problem. Happy 10th birthday, Airbnb…and Happy Spring Breaking to entreVIEW readers!